A couple friends have asked me how I decide what to read. For the most part, it’s random and I read whatever appeals to me! I am forever making up reading lists for myself and then just picking up whatever looks interesting at the moment. A few years ago, I made a list of Books Everyone Should Read; I based the list on recommendations from a variety of sources and also listed books that I loved or were influential in my life. While I was working on that list, I wrote a post about a meme that was going around (100 Books: A short rant and a long post) and referenced several book lists there. Then I made up my List of Books I Should Read, and updated the list last year. I try to read a variety of classic and modern fiction and non-fiction in various disciplines (Christian living, theology, history, education, literary analysis, psychology, science). I generally read Christian living type books in the morning as devotional literature and fiction or light non-fiction in the evening before going to bed. I usually read the lengthier, more difficult non-fiction works throughout the day as I have time. This year, I am going to try to be a little more organized in my book reading. I want to read more from my List of Books I Should Read, so I am going to bring some of those books back to China with me next semester. I am also going to focus on specific topics in my devotional reading (holiness, missions, emotions) and non-fiction reading (China, biography/autobiography, teaching), and I plan to read more poetry and drama. Here’s a sample of some of the books on my reading list for this year. As usual, my list is too long to be feasible, but it reflects my goals for the year and my plans to read more strategically. John Piper: Think: The Life of the Mind and the Love of God; When I Don’t Desire God: How to Fight for Joy; Let the Nations Be Glad! At the beginning of the year, I resolved to read one book each week, picking up a habit I had formed several years ago but had neglected in the past year or so. 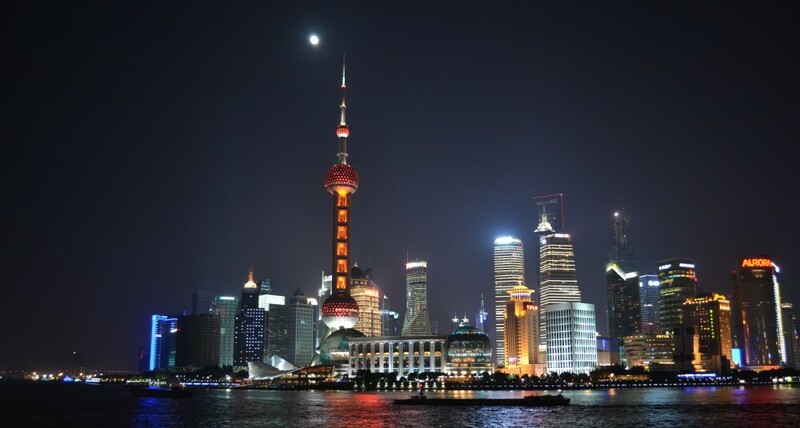 I became aware that I was reading a lot of blogs and news articles online, but I was not reading many books. I could tell that my attention span was shrinking and that the way I processed information was changing, and I wanted to reclaim the ability to read for long periods of time and think deeply about subjects. I intended to write each month about the books I read, but I ended up devoting more time to reading than writing. I would like to write longer reviews of some of these books, but for now, here are some short summaries and recommendations. I’m going to just list the books in the order that I read them and not worry about classifying them at all. 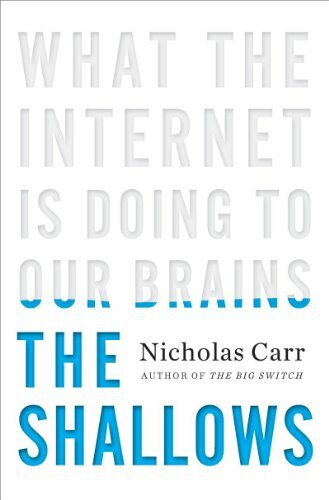 This book explained why I felt like my brain was changing and how my reading was affected by the internet. I evaluated my online habits, cut back on the amount of time I was online, and increased the number of books I read. It’s not necessarily wrong to read blogs and articles online, but I value the long-term, in-depth reading and thinking skills more than the skimming skills that internet reading develops. 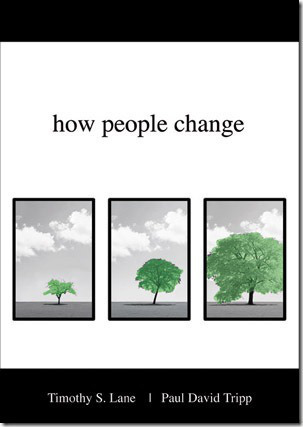 I highly recommend this book; it was fascinating, enriching, and motivating. I especially benefited from the first few chapters of this book, in which Tchividjian contrasts legalism and grace and exalts Christ as sufficient for all our needs; however, I thought the exposition of Colossians was a bit confusing in how he organized and explained the text. I also kept getting tripped up by some of the delineations he made between justification and sanctification, and I often didn’t quite agree with him. I’d have to re-read the book and take some more time to think through the doctrines to more clearly explain what I mean, but apparently I’m not the only one who had some concerns about this book. McCullough expertly weaves details from primary sources into a gripping narrative of the people and events of this incredibly important year in America’s history. 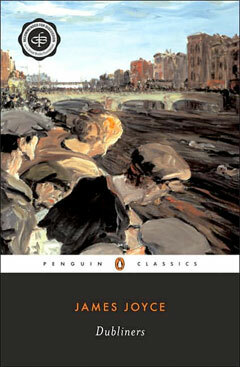 I taught Joyce’s story “Araby” in British Literature and remembered reading one of these stories (turned out to be “The Dead”) in a college-level class, so I was interested to read the entire collection. The stories can stand alone, as they were used in those survey classes, but they make much more sense in the context of the other stories. I understood the themes and appreciated the imagery more after reading them with the other stories. Joyce is a master at capturing a mood through vivid details and dialogue. That mood, however, is often melancholy, and the themes explore frustration and disillusionment with life, so don’t read this book if you’re already feeling a bit sad. I watched the movie based on the book on the international flight home and promptly read the book as soon as I arrived. I loved the characters and dialogue in both the movie and the book, but of course, the characters are developed more in the book and I loved them even more for it. This book is about a particularly disturbing and evil time in America’s history, and the social and relational issues were not resolved neatly by the end of the book. One of my friends expressed disappointment that none of the story lines had happy endings, but I think the author intended this to be a book about life as it really is and not life as we wish it to be. I thought this was a tremendously moving book (I laughed and cried my way through it), and I highly recommend it (I’ll probably re-read it soon). This is an amazing novel–beautifully crafted, challenging themes, engaging characters, dialogues, and descriptions. 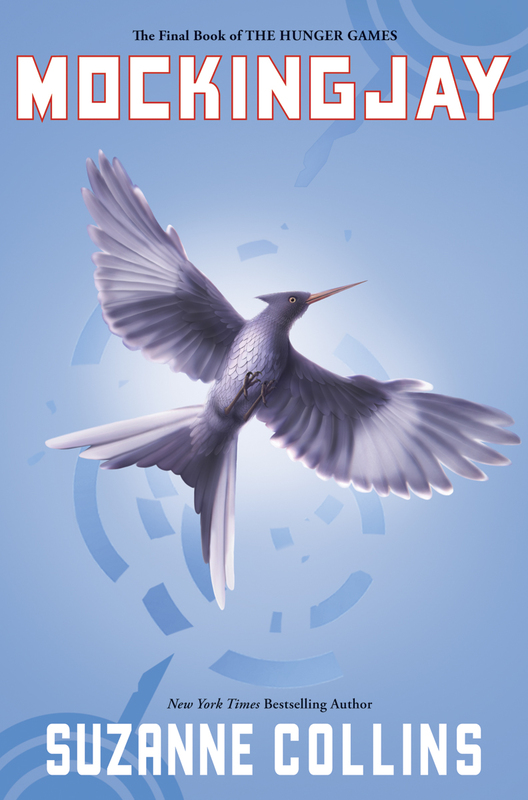 The target audience is young adult readers, but I absolutely loved this book. At the end of last semester, Dave preached a series of sermons about God’s holiness. This was an excellent follow-up book and it reinforced those truths in my heart and mind. 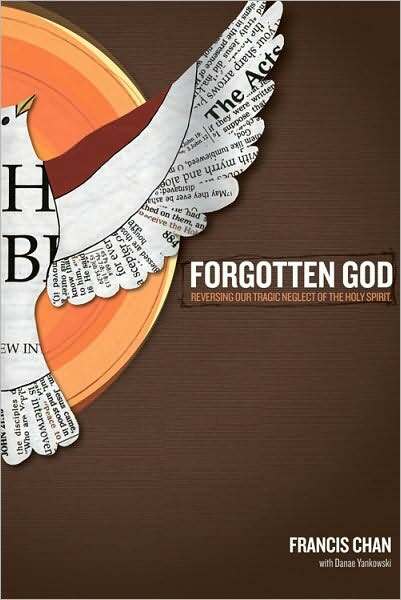 This was a readable, fairly short book with great exposition of Scripture and specific, relevant applications. This was a great follow-up book, for me, to The Shallows. It further confirmed that I needed to focus on reading and cut back on forms of online reading and entertainment. I appreciated Reinke’s theology of reading, his style of writing, and all his recommendations and advice about reading. Honestly, though, if I weren’t already a reader, I don’t think I would have liked this book and I can’t imagine giving a book about reading to someone who doesn’t like to read (despite the glowing testimonials to the contrary on the back cover). All the people who read and recommend this book love to read already. I have thoroughly enjoyed all of Malcolm Gladwell’s books and this compilation of articles from The New Yorker was no disappointment. I could go on and on about all of the things I learned in this book (I wrote 2-3 pages in my reading journal about it) and it has provided much food for thought and conversation this year. Highly recommend it. I knew that we were going to be studying the doctrine of the Holy Spirit this semester, so during the holiday I read this book. While Chan addresses the major texts on the Holy Spirit and deals sufficiently with the theological study, the strength of this book is its warm pastoral tone and devotional encouragement to recognize the way the Spirit works in our lives and to pursue a relationship with Him. This is a fantastic book that everyone should read! Rosaria Butterfield was a liberal, lesbian, tenured English professor in women’s studies, who through gracious interactions with a pastor and reading the Bible multiple times for a research project became a believer in Jesus Christ. 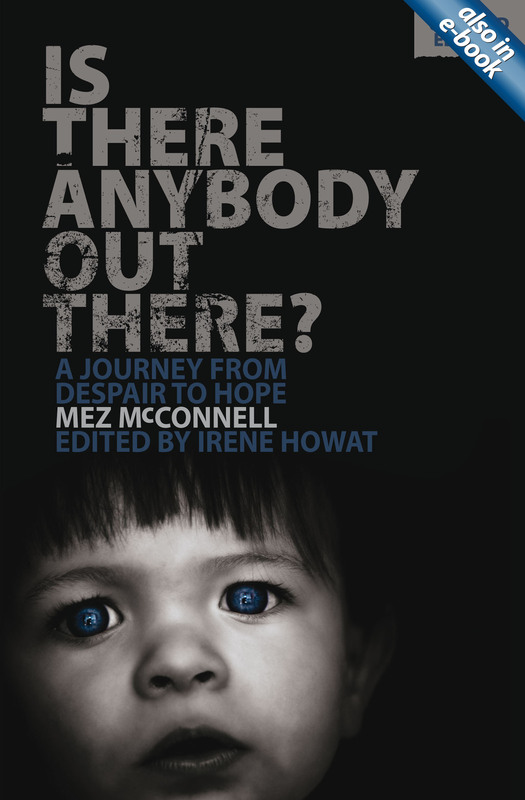 Mez McConnell, author of Is There Anybody Out There?, was a homeless drug addict and convict who was redeemed from his sins and now serves as a pastor of an inner-city church in Edinburgh. You can watch a short video of his testimony here. This is a great book–clear logic, tons of Scripture references to support their points, and straightforward explanations of the gospel, missions, and the debates in the Church about how to carry out that mission. While I haven’t been caught up in those trendy discussions about “missional living,” I have read a bit on the blogs about these things and, as a missionary, I am interested in how people support missionaries and carry out evangelism in their own churches. This book served to reinforce what I already believed about missions and further clarified and confirmed in my mind what the Bible says about missions. I really enjoyed the authors’ style and could easily follow the flow of the book; I actually read and listened to it twice this month. This is a fantastic book about the Biblical process of sanctification, and I cannot recommend it highly enough. I have never worked through a book so slowly, so thoughtfully, or so deeply. I literally have 30 typed pages of notes and reflections on this book. And I still felt like I should re-read it as soon as I finished it. I can’t begin to summarize the teaching in this book, because I just wanted to write short snip-its in this post, and I could go on for pages about it. But go out and buy this book and read it slowly and thoughtfully! God will change your life as you read this book and study His Word. After all the deep reading I did in February, I was ready for a light novel. This was the second book in the Theodore Boone: Kid Lawyer series that I have read. 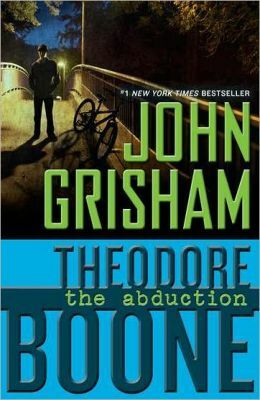 I love almost everything by John Grisham, but I have especially enjoyed the Theodore Boone stories. Theo is a realistic character with emotions, limitations, and personality. He’s obedient, intelligent, and thoughtful–the kind of kid you would want your preteen to be like. The story lines are also realistic; Theo is called “the kid lawyer,” but he’s only able to defend friends in animal court and help friends with investigations that his parents, actual lawyers, have to defend in court. A friend recommended this book because he enjoyed it, but honestly, I liked his enthusiastic summary of the book more than I liked the actual book. I thought Emmett’s writing style was dull and wordy, and he repeatedly built up the tension in a story only to say that danger was averted, which is a good thing when your job is to guard the president, but a bad thing when you’re telling a story. 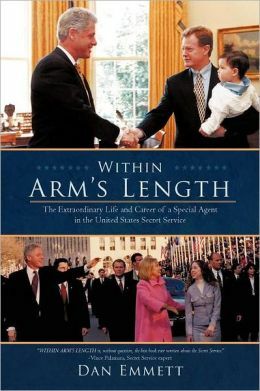 I did enjoy his behind-the-scenes accounts of working in the White House and his comparisons of the presidents he protected. This was an extremely helpful book for me, but it’s a dissertation, so it’s not the kind of book everyone will want to pick up. I grew up with a church background similar to Andy Naselli’s and could identify with the salvation, assurance of salvation, dedication to Christian service kind of sermons and decisions that were emphasized in church, chapel, and camp services when I was growing up. I have also been influenced by Keswick authors and missionaries, such as Amy Carmichael, Hudson Taylor, and Andrew Murray. This book greatly aided in my understanding of sanctification and holiness, and it righted some wrong ideas I had about how God works in believers. 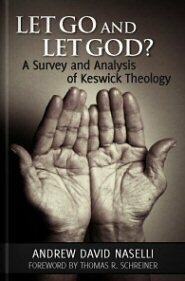 If you don’t feel up to reading the book (though it is remarkably well-written and easy to follow for a dissertation), I recommend that you read this journal article that summarizes the history and theology of the early Keswick movement. 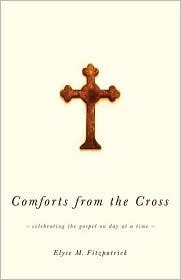 I read this book during Lent (though I don’t officially observe Lent, I find it beneficial to focus my reading on the gospel and Christ during the weeks leading up to Easter). I didn’t finish it because I was also studying the gospel of Luke, and I read the book slowly and carefully, using the study guide and taking notes. 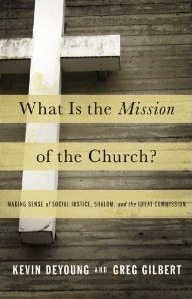 It was a thought-provoking book, and I look forward to finishing it next year during Lent. I don’t know why I didn’t read this book earlier. I loved it and it was extremely beneficial for me to read and think through each issue. Piper’s basic premise is “God is most glorified in us when we are most satisfied in Him,” and he demonstrates from Scripture how that philosophy-theology touches each area of our lives. This is a comprehensive, philosophical, theological book that bears re-reading, thoughtful reflection, and careful application. I plan to read it again soon. Our group read the second of the three stories during our Wednesday night meetings. 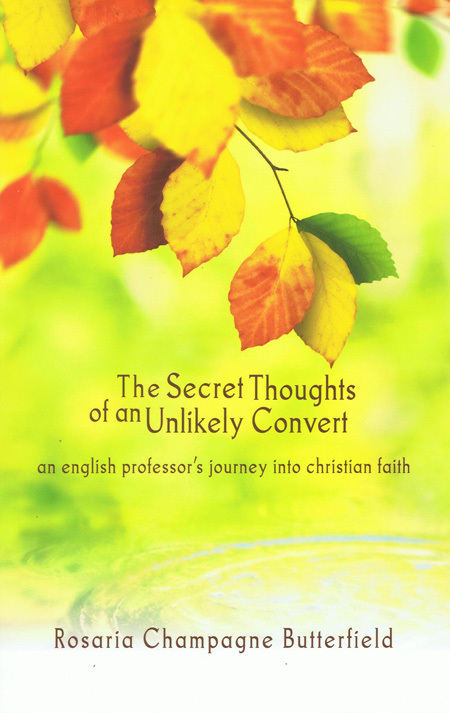 Each story in this book focuses on the pastor of a Lutheran church in Sweden. The stories are loosely connected, and each tells of the pastor’s coming to saving faith in Christ and of the implications that has on his ministry. Yes, you read that correctly. . . the pastor in each of these stories came to believe in Christ, after completing seminary and preaching in a church for several years. We had some great discussions as we compared the pastor’s situation to our own and talked about some common issues we have faced growing up in a Christian family, going to church, attending Bible college, and living with other believers. It can be very easy to just conform to expectations, and not make your parents’ or teachers’ faith your own. This book is in no way related to another book that has an unfortunately similar title. One of my friends said, “I thought it was rather bold of you to read that book out in public, but then I realized the title wasn’t the same.” First, I would never read That Other Book, and second, I hoped that people would know by my character that I wouldn’t read That Other Book. Alas . . . 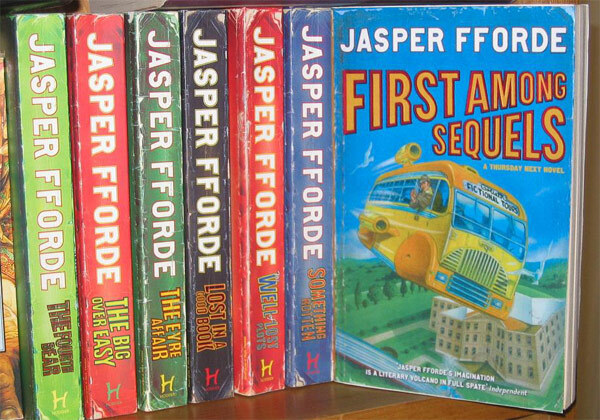 I have read several of Jasper Fforde’s novels (all of the others are in the Thursday Next series, which I love! ), and I love his style and humor and characters. This book is quite different from the Thursday Next series; it’s a distopia in which people can only see colors from one segment of the color spectrum and are known by that color family (the Reds, Yellows, Greys, etc). The families try to maneuver up to the coveted Violet end of the spectrum through arranged marriages and other political shenanigans. I was intrigued by the story, the distopian world, and the characters; however, in the last couple of chapters the story took a disappointing turn, and I’m not sure I’ll continue reading the series. I recently started to train for another half-marathon, so I decided to read this short book about a Christian philosophy of sports. It was a helpful, little book, but it only took a few minutes to read . . . literally, a few minutes. The audiobook is only 45 minutes, which is shorter than most sermons I listen to. 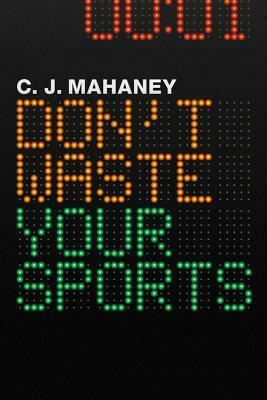 I imagine the target audience is the stereotypical jock who doesn’t like to read, but I would have appreciated a little more depth (see Ryan Hall’s Running with Joy for a more in-depth Christian philosophy of sports); however it was a good reminder to do all to the glory of God, including running half-marathons. I’ve read this book several times–this time with the ladies for our Wednesday night Bible study. I enjoyed our discussions and this book has many practical, everyday applications. This is the best book on singleness I’ve ever read. This is the best book on the Proverbs 31 woman I’ve ever read. If you are a woman, married or single, you need to read this book. I especially liked the first few chapters of this book, in which Bonhoeffer contrasts cheap and costly grace. The next few chapters on the 10 commandments were also helpful. This is a great overview of Christ’s atoning work for mankind, and Piper examines this marvelous work of grace from many (well, 50) perspectives. Like a jeweler slowly rotating a diamond to look at every sparkle and facet of the precious gem, Piper dazzles us with Christ’s love, mercy, and grace. This is a fantastic book about beauty and how a Christian can enjoy God’s beauty through Scripture, Jesus Christ, creation, art (of every genre and form), and relationships. I loved the thought-provoking study questions and the lovely reflections on true beauty. Having just read Did I Kiss Marriage Goodbye? this book was a bit redundant; however, it met a need in my life. 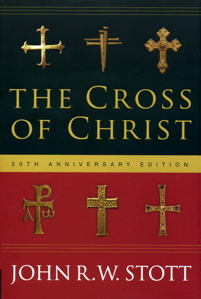 I read this book in one sitting one morning during my devotional time. I needed this timely reminder to be content in Christ. I’m revising our writing curriculum and turned to master teacher Jim Burke for some guidance. I’ve benefited often from his English Teacher’s Companion and this book was equally as helpful to me. If you teach English, you need to read Burke’s books! I recently watched the new movie of the Hobbit (loved it!) and was inspired to re-read the book (loved it more!). So, there you have it–all the books I’ve read so far this year! Overall, it’s been a good year of reading, and I’m looking forward to the next 25 books or so that I read this year. A couple of years ago I wrote up a reading list for myself. I am notorious for making up book lists and reading plans and then abandoning those lists for whatever strikes my fancy. For the past couple of years my reading has been all over the map, and not at all what I planned on reading. Edward Albee: Who’s Afraid of Virginia Woolf? This year, I want to be more strategic and disciplined about what I read, because I, once again, have grand plans for the reading I’ll do this year. I still want to read many of the books on the list I created in 2011, but some excellent books have been published or purchased since that I have added to my ever-growing list. A few years ago I made the goal of reading one book a week (and I kept it for about two years! ), but I’ve kind of slacked off from that pace of reading–and sadly, at times, reading in general. So this year, I am challenging myself again to finish one book a week. Some of these books are really long (500+ pages) and I always find books throughout the year that I want to read but weren’t planned, so I’ve left myself some wiggle-room. Kevin DeYoung: The Good News We Almost Forgot, The Hole in Our Holiness, What is the Mission of the Church? John Piper: Think: The Life of the Mind and the Love of God, Let the Nations Be Glad! ‘Tis the season for reflective blog posts. And ’tis the season for posts about books. This past year, I was particularly bad about recording the books I read, so I’ve had a hard time remembering all the books I read in 2012. In the past, I kept notes or wrote a blog post a month about my reading, so it was much easier to remember what I’d read and to pick out my favorites; however, this year, I wrote few posts about what I read. In addition, I am not at home, so I can’t peruse my shelves to remember what I read! I’ve also pondered the profusion of memoirs in recent days. It used to be that another person would write your biography toward the end of your life or after you died, but now many people are writing memoirs. Again, I’ve found these books to be interesting, but I have also wondered if the recent flood of memoirs are a product of the self-absorbed culture we live in. 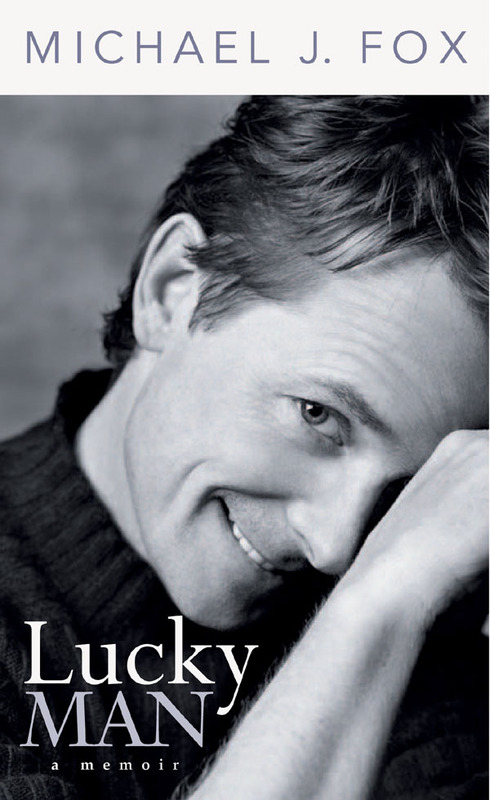 This book incorporated autobiographical sketches of Michael’s childhood and rise to fame interspersed with accounts of his diagnosis and struggle with Parkinson’s Disease. For about 10 years he tried to ignore the PD, but he finally realized that he didn’t want to spend the rest of his life in denial and alcoholism. After meeting with a therapist and facing the disease head on, he started to make progress in how he handled the disease and eventually started the Michael J. Fox Foundation. To be honest, for the first half of the book or so, I was pretty disgusted with how Fox lived, both before and after the initial diagnosis. But I think he was also disgusted with how he was living, so when he hit bottom, he was motivated to get help and change. Most of my memories of him are post-diagnosis and post-acceptance, so I’ve always admired his strength and courage and advocacy for others with Parkinson’s Disease. I was glad I read the book, because it’s an honest portrayal of the struggles one goes through with such a serious diagnosis, and it was a helpful reminder that we all have positive things we can be thankful for even when going through a difficult time. I remember listening to Bob Edwards on NPR’s Morning Edition when riding to school as a child and teenager, and I still often listen to NPR as I commute to work. As I read the book, I remembered some of the stories he covered (In particular, I remembered his conversations with Red Barber and the sad announcement of Barber’s death on the show, and his coverage of the Gulf War), so it was interesting to read the background and to get an insider’s perspective of the formation of NPR and the daily workings of the radio station. Of course, as you read about his departure from NPR and some of the disagreements with managers there and his divorce from his wife, you have to remember you’re only getting his perspective on the issues. 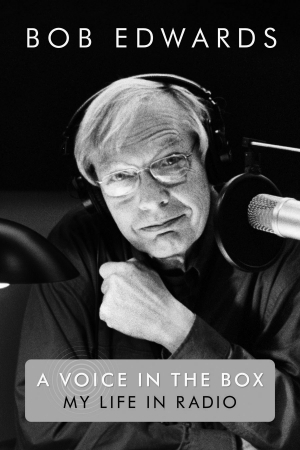 As expected from a radio host, this memoir was well-written and engaging, and since I had heard him so much on the radio, I could hear Edwards’s voice narrating it in my head. This was a troubling, grotesque, accurate account of the depraved torture and mass murder and “scientific research” that took place at the Nazi concentration camp, Auschwitz. I cannot overemphasize how awful it was to read portions of this book. I could only handle small portions at a time and only during the day, because I didn’t want to be haunted by the book at night. I felt like it was important to read this book, though, to remember the victims and to be warned/conscious of the depths of the depravity of human nature. 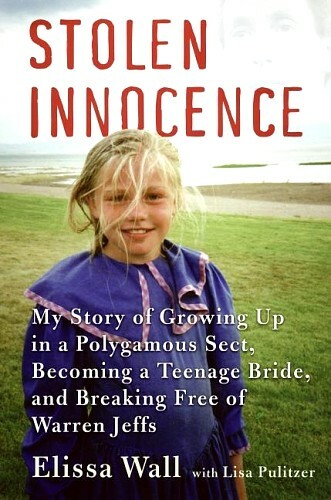 I’d been hearing more about cults and I think Warren Jeffs had been in the news around the time that I picked up this book. I was glad I read Elissa’s story as it helped me understand how someone can get involved in a cult, and it showed how difficult it is to escape a cult, but over all, I thought this book was poorly written. This was a tremendously moving book. It was difficult to read, because I knew what happened to Todd and dreaded getting to that part of the book, but I was encouraged by both Todd’s and Lisa’s testimonies of Christian growth, and I was challenged by Lisa’s faith in the Lord during the tragedy she experienced. My pastor’s wife recommended this book to me and we had several good conversations about it. This was one of the most interesting books I read in 2011. I still think about it often, actually; in many ways, it has shaped my thoughts about love, marriage, death, Christianity, and literature. This book deserves a re-read and then several blog posts about it. For now, let me summarize the basic story. Sheldon and Davy met in college and fell deeply in love. Both were bright, literary-minded, well-read, articulate people, and they thought deeply about life and wrote beautifully about love and life. The first part of the book glimmered with their exuberant love for each other. Both were agnostics at the time, and it was obvious that their love for each other their god. While studying at Oxford, they became friends with C.S. Lewis, and partly owing to his influence, they became believers–first, Davy, then a few weeks later, Sheldon. That’s an important point, because Davy seemed truly focused on God, often praying that their love for each other would not hinder their love for God, while Sheldon seemed to believe in God as a way to be nearer to Davy. This became especially apparent when Davy prayed that God would take her life, if it meant that Sheldon would love Him completely. Shortly after returning to America after Sheldon’s graduate studies were completed, Davy developed a mysterious illness and was eventually diagnosed with a virus that had attacked her liver, and she died within six months. The rest of the book describes Sheldon’s grief and includes his correspondence with C.S. Lewis as he worked through his response to his wife’s death. The book’s title comes from a phrase in a letter to Lewis that he used to describe how God was dealing with him after Davy’s death; he saw her death as a “severe mercy.” Through Davy’s death, he became more devoted to God and the church. This was a moving, thought-provoking book that is difficult to summarize adequately in a short post. I would love to re-read it and write more about it. If you have read the book, please comment and share your thoughts! Because of what Christ did for me through His life, death,and resurrection, I can be thankful for all the spiritual and material blessings He has given me. I don’t deserve all the good things that have happened to me and that I have received, so I am thankful for God’s grace to me. And I have not received the punishment that I do deserve, so I am thankful for God’s mercy to me. 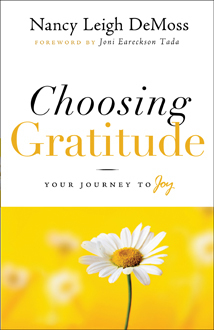 Nancy recommends keeping a gratitude journal, and I’ve begun doing that. This journal helps me focus on the good things God has given me and keeps me from complaining (as much!). I’ve been learning to turn complaints around to things I can praise God for. This book by a Puritan pastor was a challenging and slow read because of the language and style, but I loved the outlines, scriptural support, and creative imagery. Watson gives a very thorough treatment of the subject of contentment. I’ll share more about this book soon. This is an excellent book of daily devotional readings about how the gospel applies to our everyday lives. I was greatly encouraged and strengthened in my faith, and I plan to read this book over and over to let the truths sink in even more. 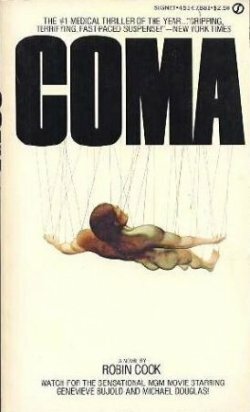 A med student discovers a disturbing pattern of otherwise healthy patients not coming out of a coma after simple surgeries. She finds out the shocking truth and realizes her life is in danger because some powerful people want to keep the truth hidden. This book freaked me out! I made the mistake of reading most of this book late at night, and when I finished it, I had trouble sleeping. I don’t do well with horror fiction, and parts of this one seemed all to realistic for me. Other parts were over the top–I thought the violence escalated too quickly and unrealistically. I do like medical fiction, however, and there are several copies of Cook’s books floating around our house (my mom likes medical fiction, too), so I’m currently reading Outbreak, which is about the Ebola virus. I love P.G. Wodehouse’s witty, breezy style, and I especially love the Jeeves and Wooster stories. These books make for great light reading. 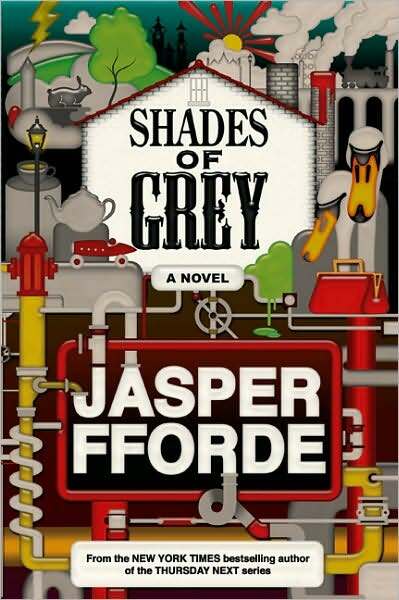 While browsing through my local library, I found the latest installment of the Thursday Next series by Jasper Fforde. I had read The Eyre Affair while in grad school, but when I moved to Guam, I didn’t continue reading the series. (As it turned out I had also previously read Lost in a Good Book, but I didn’t recognize the title or remember the story line until I got about half-way through.) Now I am several books behind, but I think I will catch up quickly; I’m going to pick up the next two books when I go to the library next week. These books are almost impossible to explain because they’re a mixture of mystery, comedy, sci-fi, fantasy, werewolf stories–pretty much every genre imaginable. For a good review and a better stab at describing the book, I recommend this one in the Washington Post. I definitely recommend these books for a fun, post-modern, bizarre read. 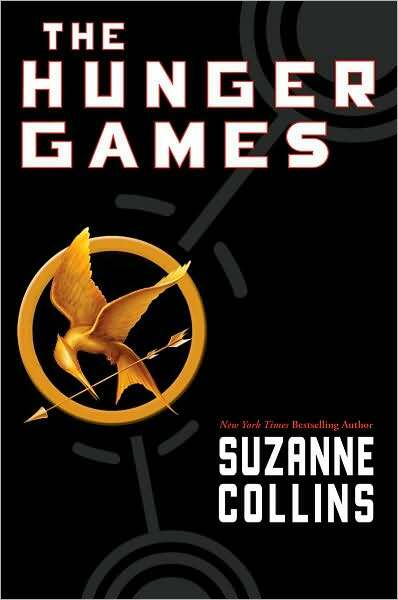 I quickly got caught up in these futuristic, distopian stories about children fighting for their lives in the annual Hunger Games. I read all three books in two days. The concept, while disturbing, was also believable, and I immediately felt attached to the characters and cared about the outcome for each one. 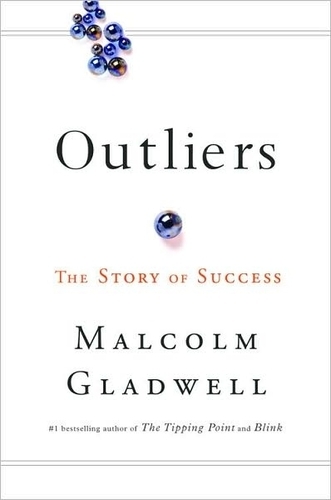 I’ve read and enjoyed Gladwell’s previous books, The Tipping Point and Blink, and this one was just as informative and interesting. I learned all sorts of things about why people succeed (for example, birth date, ethnicity, and ancestors) that we don’t normally associate with success. Americans love “rags to riches” stories and generally attribute success to hard work, although a number of factors also contribute to success. One of my favorite chapters was about the role one’s birth date plays in situations with a cut-off birth date, such as sports teams and school. Those with a birthday right after the cut-off get moved into the next year and succeed because they’re older and more advanced in motor skills than those at the end of the year. Although the stories were sad and hit home because of my connection to Guam, I also enjoyed reading of the great change that took place in Korean Airlines after the disastrous Flight 801 and many other plane crashes that occurred in a short period of time. Researchers found that the deference shown to superior officers and the language and respect required prevented the lower-ranked officers from making clear warning statements to the higher-ranked officers. When the pilots began communicating in English, they avoided the language and respect issues, and now Korean Air is one of the safest airlines in the world. Gladwell appropriately and touchingly ends the book with a tribute to his mother and grandmother, as he shares how their lives contributed to his success. I was a little shocked when I counted up all of these books and realized I had read 14 books in the last 6 months (three were read in the last three days, now that I’ve started vacation). I was extremely busy last semester and felt like I hadn’t read much, but an average of 2 books a month is still pretty good. I read a lot of light fiction because I couldn’t focus much on too difficult of reading, and even though I only read a few Christian Living type books all the way through within this time frame, I have read parts of many books that I still need to finish! I read this book two or three times. It’s a great, short explanation of the gospel. I highly recommend this book. This is a very unusual biography because it doesn’t follow the normal, chronological order of a biography. Also, the author quoted seemingly randomly from sermons and letters from people who know M’Cheyne without giving context to the quotes. Frankly, I had a hard time following the book. I respect M’Cheyne’s ministry and have read some good quotes by him, but I didn’t have the mental focus to read all the way through the book, so after the first couple of chapters, I ended up skimming and just reading a few portions. I thought this was a great book. This is the story of a Planned Parenthood director who made a dramatic turnaround to work for the Coalition for Life. I wrote about it extensively here. This was a good story and I recommend it. I was a little afraid the kid lawyer would be in the courthouse defending a case (unbelievable), but instead he had to rely upon the justice system and his lawyer parents to help him see the case through (much more believable). I had heard my friend Jenni talk about this book for six years, because she taught it in her 7th grade English class, but I’d never read the book until now. It’s a great historical fiction story about an African-American farming family in the South during the Depression. This story deals with racism, lynching, and the benefits of owning your land. The main characters, the Logans, own their farm, but most of the other farmers around them are sharecroppers. The characters, dialogue, and story are all interesting, and I agree that this is a good book for junior highers. The only drawback to this story is that it ends abruptly without resolving the main conflict at the end of the story. This is the sequel to Roll of Thunder, Hear My Cry and the first couple of chapters wrap up TJ’s story from the previous book. This book dealt more with property ownership, the difficulties of starting a union for the farmers, and the challenges of a young girl who has a black father and a white mother, and the hardships Stacey faced when he was tricked back into slavery in the sugar cane fields. 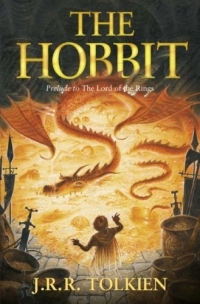 I enjoyed learning more about the characters and seeing them grow up, but I thought the story lagged through the middle and it picked up again right at the end of the book. Fortunately, the story resolved in the last chapter, because I was afraid the book would end without finding out what happened to Stacey. I really enjoyed this story about a young Korean orphan who learns how to make pottery from a master potter. The boy, Tree-ear has to face many challenges to deliver the potter’s special vase to the king’s palace. Set in twelfth-century Korea, the story teaches about the culture and about perseverance. 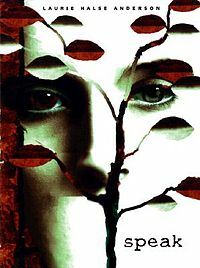 This is another great novel for junior highers, and Jenni also taught this one in 7th grade English. I greatly enjoyed this long-awaited sequel to Chains, which I reviewed here. As you can gather from the title and cover art, the story is set during the Continental Army’s occupation of Valley Forge. The historical details are accurate and the story is very interesting, though it is sometimes graphic about the difficulties the soldiers faced. Based on the yellow fever epidemic that swept through Philadelphia in the summer of 1793, this story follows Mattie Cook as she flees the city after her mother contracts the fever, as she fights for survival, and as she reestablishes her life at the coffeehouse her mother and grandfather had owned. I highly recommend this book. I read this book for the book club I started a few months ago. You can read all the posts here. I really enjoyed reading this allegory of salvation. A group of computer programmers create an alternate world and test out various systems of running the world, such as Evolution, Existentialism, and law-giving. The only model that works, as the atheist professor is chagrined to find out, is the law-giving and grace-saving one that parallels the Gospel. I was very excited this book came out before I had to take a long plane trip from Guam to the States, as it helped pass the time on my Guam-Narita flight. As always, Tim Downs created a fast-paced story with snappy dialogue and unusual characters. 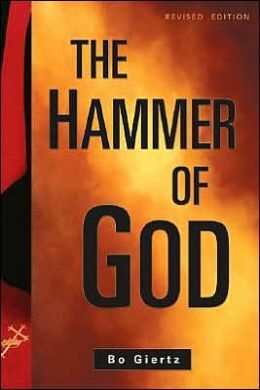 This story seemed a little different to me from other Tim Downs novels, but I can’t quite put my finger on what’s different; I don’t think there was a much science in this one and that is something I like about the books. I still greatly enjoyed this book, though, and highly recommend it. Although most of the Bug Man novels can be read in any order, you’ll understand this one best if you read Ends of the Earth first. In Ends of the Earth, Nick has to choose between cadaver dog trainer Alena and the plucky farmer Kathryn. Readers were able to read two alternate endings online and choose for Nick, so this novel follows Nick and Alena in the last week before their wedding. The mysterious death of a friend leads Nick to the Poconos to solve the crime, Alena follows, and after Nick rescues Alena from a would-be murderer, they return to North Carolina for their wedding. And we’re left with another cliff-hanger, so hopefully the next book will end with Nick and Alena’s marriage. While this was a cute story about a childhood imaginary friend who becomes real when the little girl grows up, it was very light reading and not very impressive. It was good airplane reading, but I probably won’t be picking up another Patterson novel any time soon. This is the second choice for my little book club and I’ll post discussion questions soon. It wasn’t my favorite book ever, that’s for sure. I liked Tuesdays with Morrie much better. During the Easter season, I read portions of Jesus, Keep Me Near the Cross edited by Nancy Guthrie; Finally Alive by John Piper; and Seeing and Savoring Jesus Christ by John Piper. I re-read these books for 11th Honors English: The Red Badge of Courage, Huck Finn, The Call of the Wild. I am currently reading: Choosing Gratitude by Nancy Leigh DeMoss, Comforts from the Cross by Elyse Fitzpatrick, and The Art of Divine Contentment by Thomas Watson.